Former President Mahinda Rajapaksa does everything to remain in politics. 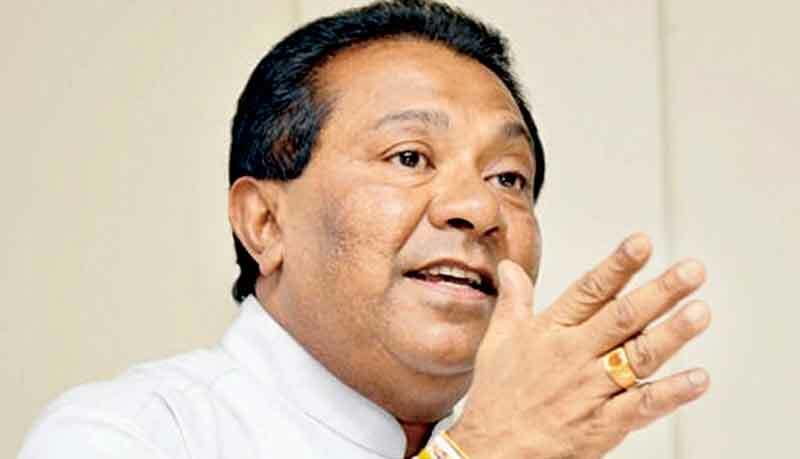 No chance is available for him to form a Government after one or two Vesak Poya as he tells as MPs in the Joint Opposition are holding discussions to join the Government, Social Empowerment and Welfare Minister S.B. Dissanayake said. Addressing the media at his Ministry at Sethsiripaya, Battaramulla yesterday, he said MP Bandula Gunawardena tells whatever comes to his mouth and Basil Rajapaksa always talks on money. Prior to last May Day, some had given money for some MPs to stop them from taking part in the SLFP May Day rally 2016, but all of them turned up in the rally. The SLFP is ready face any election, Minister Dissanayake said. According to Minister Dissanayake, the former President lost 1.2 million votes at the 2015 Presidential Election. The UNP did not have those 1.2 million votes but the `Swan' received them. One of the main reasons behind the former President's instant call for a Presidential election in 2015 was the Geneva Human Rights issue, he said. The minister said four politicians and War Heroes had been named as war criminals. Economic sanctions were about to come. But the Government overcame those problems, he said.